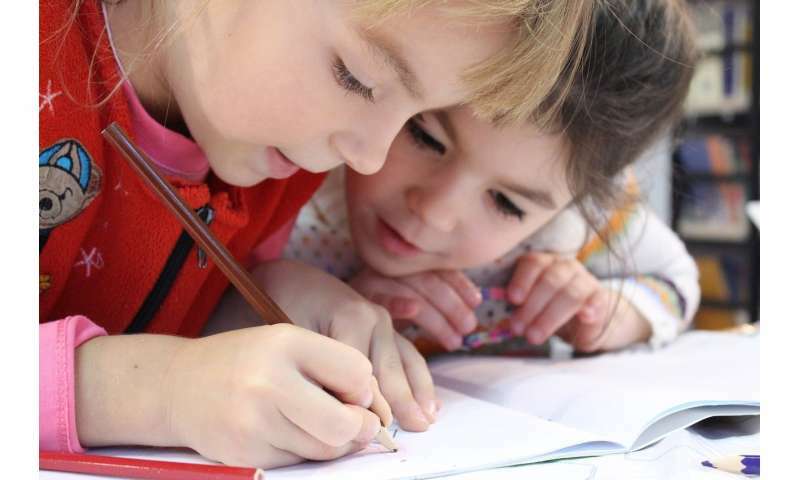 A study of after-school programs in Connecticut led by UConn researchers suggests that students who participate for several years in programs sponsored by 21st Century Community Learning Centers have higher attendance in school and higher academic performance. "Improving School Attendance and Academic Performance: The Role of Multiyear Participation in After School Programs," was conducted jointly by the Center for Applied Research in Human Development (CARHD) in UConn's Department of Human Development and Family Sciences and the Capitol Region Education Council (CREC) in Hartford. The 21st Century after-school program provides academic enrichment opportunities to students attending high-poverty and low-performing schools. The study covered more than 9,100 students attending 108 after-school programs in Connecticut. The study findings were presented in mid-March at the annual meeting of the Society for Research in Children Development in Baltimore by principal investigator Beth S. Russell, associate professor of Human Development and Family Sciences and director of CARHD. Co-investigators included two doctoral candidates, Jennifer Dealy and Morica Hutchison, and Shelby Pons and Betsy Laborious of CREC. Russell discussed the study with UConn Today. Q. How did this come about? A. Many states offer a 21st Century program, which is federally funded. In Connecticut, we have around 120 sites every year that are specifically designed to target low-income communities and high-risk schools. The goals of the program are to improve academic outcomes, but also to attend to things like attendance and disciplinary infractions because there's a lot of promise for what after-school programs can provide for kids, particularly in our most vulnerable populations. In addition to supporting students' academic successes, after-school programs are a pragmatic support for a lot of working families. Q. What specifically were you looking at in the programming? A. Part of what we hope for in most ancillary school programming – so anything that's happening outside the school day – is increasing the student's engagement in the school environment and building relationships between students, their peer group, and mentors or teachers. After-school opportunities that continue to work are valuable because they provide an important moment for social and emotional development that doesn't happen in the structured 45-minute or hour-long course period in the school day. It's a different kind of environment that looks to continue much of the social development that happens in the school day but does so by providing mentorship opportunities and tutoring around subject areas where students might be having a hard time, always with the backdrop of positive interactions with peers or mentors. Q. Was there consistency in the after-school programs' curriculum? Programs can be different. A. In fact, we hope they are. Communities are different, and the needs that a particular community might have need to be considered so that we have an agile response. The risk characteristics that a group of kids are presenting with are the risk characteristics that we're trying to meet. While 21st Century as a program expects a high degree of fidelity that we might meet across sites, sites are also empowered to add additional components or make tailored outreach opportunities to kids who have things that fall outside that core spectrum of common elements the program is designed to address. For example, Connecticut 21st Century programs have literacy events, not just for the literacy they might be struggling with at school but also for their family members – these might vary in their content and frequency depending on the community's needs. Q. There is a mention about the timing of the programs. What does this involve? A. Timing refers to the number of years the kids attend the program and when that timing begins. We don't yet understand if risk trajectories are most vulnerable to change in the primary school years or if there is something particularly malleable abut risk in the middle school years, for example. Certainly we know the earlier we intervene and for longer, the more likely we are to see positive impacts. That's the main story of this conference presentation: after three or four years, we start to see significant impacts for kids who participate in 21st Century. Q. The involvement of the community and activities that take place in the community can be in conflict with these programs. Has there been evidence of how that affects a child's desire to stay focused on the program or go in another direction? A. In our data, no. Most of the data we get comes from the program sites and the Board of Education itself. There's very little student report data, where the student can tell us about how they perceive their engagement with the program. I think that's something to talk about when we consider how we want to refine our evaluation each funding cycle. I think students' voices are important, and I think parents' voices are another perspective to consider including. We have 16,000 cases in the most recent data draw. The challenge is to propose a pragmatically feasible new component where we might sample perspectives of the participants and their families. We need to be careful in how we propose doing that so we're sampling from the statewide collection of sites equitably. Q. One of the issues always brought up in talking about school funding and distribution of state funds is the disparity between the larger cities where you find these schools and the affluent suburbs which fund their school programs more highly and have more resources. You're focusing on the high-risk groups. How could any change really affect these kinds of programs? A. After-school programs tend to make a positive difference for all students, not just those that are at high risk. What we're looking for is a disparity in the gain that a low-risk group might see compared to their higher-risk counterparts. I would never suggest that there's a community that should get a particular service and another community that should not. The question is: if we make equitable access to support services available across towns, districts, or regions, how do we then examine which characteristics promote the greatest success for which students? Q. This is the first step with this study looking at the issues in this way. Where are you headed in the next step? A. Our next step is to propose sampling the parents and children who participate in 21st Century. I'd be particularly keen in getting perspectives from first-year participants versus those who have participated for two or more years. Q. Where else do you see the need to go with this research? A. I think the current conversation is evolving about how we resource school systems in Connecticut – specifically whether we consider regionalizing – and how we put together a constellation of support services for communities and families to try and improve equitable access to the best support across the state. I'm interested to see how that conversation plays out. Are children's television programs too cool for school? What factors contribute to academic success in students living in poverty?